Many countries now have National Trade Associations. These associations work on behalf of their members in a number of ways. Some primarily concentrate on lobbying government and other authorities, others exist primarily to encourage data centres to locate in their country. National Trade Associations are an important part of the data centre industry and those that the EUDCA is aware of are listed here. Click the link for more information about any National Trade Association that is of interest and you will be taken directly to their website. DDI provides an overview of the organisations who deliver cutting-edge solutions, products and services to the data center industry in Denmark and abroad. The primary role of our association is to make it easier for you to do business with us. We support the establishment of new business relationships nationally and internationally. DDI will also strengthen the cooperation among private and public companies, since the flexible and smooth cooperation between public and private sector in Denmark is an important competitive advantage compared to many other countries. The Dutch Data Center Association (DDA) is the trade organization of data centers in the Netherlands, the bedrock of the Dutch economy.The DDA unites leading data centers in the Netherlands in a common mission: the strengthening of economic growth and the profiling of the data center sector to government, media and society. The DDA expresses industry views on regulatory and policy issues. It demonstrates leadership by facilitating and encouraging members to implement operational improvements in the form of best practices.The DDA promotes education and contributes to technical standards, which enables the data center industry in the Netherlands and abroad to further distinguish itself. ECO is a wider organisation that looks at all aspects of the digital economy but it does incorporate an area specifically focussed on data centres. Finnish Data Center Forum (FDCF) provides the ecosystem for cloud and data center business in Finland. FDCF is an independent, non-profit association dedicated to drive data center and cloud business and to connect the data center field professionals together. It was founded in 2014 in Helsinki, Finland when a group of data center enthusiasts and professionals saw a clear need for a group that funds ISO standardization work in DC field and connects underground specialist groups together. FDCF organizes various events and seminars in the data center field for its members and other stakeholders. We support and fund ISO standardization work and development in the DC field. FDCF also aims to support and improve education and research. France Datacenter brings together all the actors of the data center ecosystem in France. It represents and promotes the industry as a base for the performance and reliability of the digital economy. Today the association is made up of around one hundred companies that design, build and operate data centers. Natural actor of the reflection on the stakes of the digital industries, France Datacenter favors the formalization of the knowledge, the development of the competences and the adoption of the best practices by the professionals, in order to improve the competitiveness of the French sector vis-a-vis its European competitors . It also promotes its assets to public actors and the media. 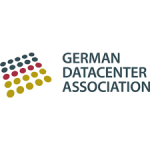 At the German Datacenter Association, we promote the interests and special needs of data centre operators to policy makers, the media and society at large. We represent our members – operators and owners of data centres of all sizes – on relevant committees on legislation, regulations, rules, standards and political issues. Our long-term aim is to improve the general conditions for data centre operation in Germany on a lasting basis. Host in Ireland is an industry-led initiative specifically developed to generate awareness and recognition of Ireland’s benefits as an optimum location to host digital assets. By providing timely and accurate information regarding Ireland’s hosting landscape with the help of partner companies, Host in Ireland is redefining industry perceptions. Using a blend of the the 5Ps- Policy, Pedigree, People, Power and Pipes- Host in Ireland is demonstrating and showcasing Ireland’s cost-effective, efficient, reliable, secure and accessible infrastructure as compared to most other locations throughout Europe. Host in Scotland was created in 2017 and is an umbrella organisation to represent and promote the interests of the Scottish Datacentre sector industry. Host in Scotland is funded by Scottish Futures Trust and Scottish Government. Our aim is to promote new investment in the space, be it from existing operators seeking to expand or new entrants to Scotland. We may be a very new organisation but we are highly ambitious and we are working tirelessly to enable new investment into this exciting sector and to enable Scotland’s economy to reap the rich rewards that are associated with a thriving datacentre sector. Polish Data Centre Association’s mission is to take care of Polish data centres good business and to encourage Polish companies and institutions to use IT outsourcing in the data centre. This goal is achieved by building a positive image of the business services sector and by showing the benefits of solutions created on the basis of data centres. techUK is proud to represent UK data centre operators. Our award winning programme is comprehensive and influential. Our aim is to ensure that the UK is a place where the sector can flourish. We intervene on policy, we mitigate regulatory impacts and we raise awareness. To date, we have changed UK law and negotiated a tax concession worth over £200M for operators, we have reduced regulatory burdens, identified and mitigated business risks, established a community of interest and shared technical knowledge. We have educated the sector about policy and we have educated policy makers about the sector. Our activity ranges from strategic long term issues to detailed technical negotiations. To find out what the programme has done for data centres over the last three years look at our quarterly and annual overviews.